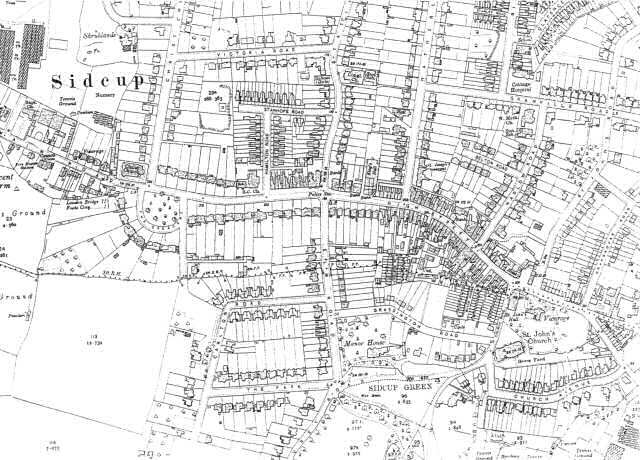 This map shows the rapid development of Sidcup during the inter-war years. 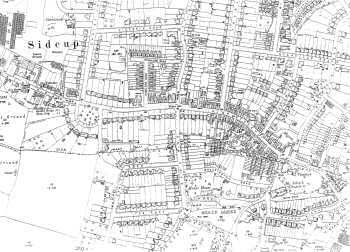 New residential properties have appeared in streets west of Station Road, east of St John's road and south of St John's church. The new Civic Offices, police station and fire station on the Main Road and the girls' school in Station Road witness the growth of public services.